Let’s face it, debt is stressful and the sooner you begin to make changes to get out of debt, the better your quality of life. The economy has recovered since the 2008 financial crisis but there are still too many consumers stuck under a mountain of debt. Americans owe more than $1 trillion in student loan debt. The total credit card debt for all U.S. households is more than $1.2 trillion according to the Federal Reserve, while mortgage debt adds up to more than $8.94 trillion. Total US household debt reached another high in the first quarter of 2018 hitting $13.2 trillion, a $63 billion increase from the previous quarter. Most of this debt comes in the form of mortgage debt. Change is in order for U.S. consumers. It’s time to take action to get out of debt. Even though you must change your money management style to get out of debt, a good plan you can stick to without feeling deprived is more likely to work in the long run. Your first thoughts about a budget may not be pleasant but hold on, creating a budget does not have to be difficult. It’s imperative to have a budget plan to get out of debt. Having a visible way to see where your money is going and what you can cut back on is key to get out of debt. Basically, you want to include everything you spend money on in your budget. You may be surprised to see where your money is going and how you can save by cutting out frivolous items. Begin with your fixed expenses. Fixed expenses are your household necessities such as mortgage, rent, utilities, car payment and insurance. Next, tackle your variable costs. Variable costs can change from month to month such as groceries, cell phone, credit card bills, entertainment and clothing. Now, create a reserved budget. Reserved budget would be for things like dining out, vacations, hair stylists, haircuts and even pampering needs. Be realistic and set reasonable constraints on these items. There are many budgeting Apps that can help you keep track of your budget. I prefer to write things down in old-fashioned book form. 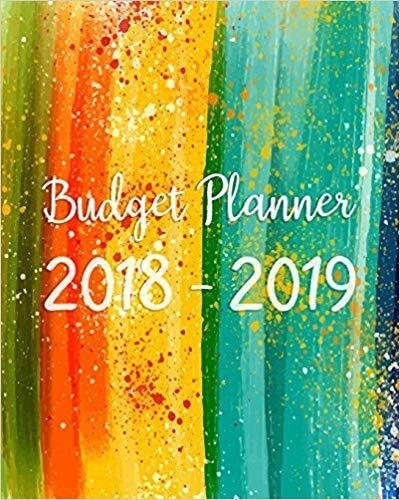 You can pick-up a budgeting planner like this $6.99 one from Amazon that allows you to write down daily, weekly and monthly expenses. Using cash instead of credit cards and even debit cards can help you save money. Put your credit and debit cards away for a while and start using cash. The act of using cash makes you more aware of your spending habits. Pulling out a credit card can give you a false sense of not having just spent money. Credit cards may also give you instant gratification but when you face the bill along with interest charges that gratification is long gone. If you use a credit card try to carry one primary credit card and use it only for emergencies only such as car or home repairs. Put your debit card away and you’ll instantly see how much money you are really spending. 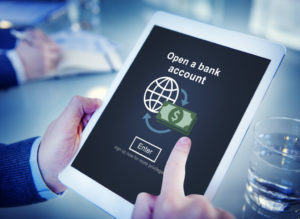 Even though you have the cash in your checking account, actually forking over cash when making purchases will open your eyes to anything you really don’t need. Stop using credit cards unless you plan to pay them in full each month. 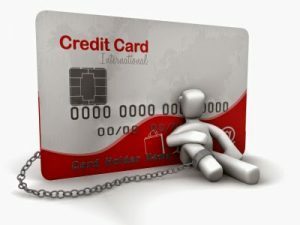 If you continue to use credit cards while attempting to get out of debt, you’re setting yourself up for failure. Getting and remaining out of debt involves some behavioral changes. Stick to your cash and leave the credit cards at home. Pay more than the minimum due on credit cards. The lower your balance, the higher your credit scores. Amounts owed on revolving debt like credit cards makes up 30 percent of your credit score. Paying off just one credit card will improve your credit scores as long as you don’t create new debt. There are financial risks when paying just the minimum payment on credit cards. 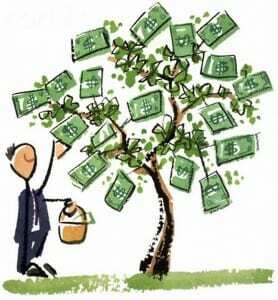 One of the main risk is never getting out of debt plus paying just the minimum makes you look risky to other lenders. 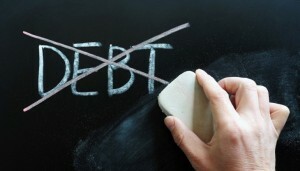 You don’t want to be chained to credit card debt year after year. For example, here is a credit card statement where the total balance is $2720.12. The minimum payment is $54 and the APR is 15.24%. Assuming no further charges are made to the credit card, it would take 21 years to pay the balance in full when paying just the minimum payment of $54. Not to mention over $5,936 would be paid in interest. Bumping the minimum monthly payment up to $95 the balance would be paid in full in 3 years which would save $2,525. But that’s still too much in interest. Add as much extra cash to your credit card payments as possible. You’ll save thousands of dollars. Another way to tackle credit card debt is through debt consolidation loan. Lenders like Payoff offer credit card holders loans up to $35,000 to pay off credit card debt. Rates start as low as 5.65%, plus you can check your rate without impacting your credit score. Payoff claims that most of their customers see an increase in FICO scores by 40 points or more once credit card debt is paid in full. Consolidating credit card payments is a good way to payoff credit cards faster. Lowering interest rates on student loans could save thousands of dollars. Student loan debt has reached 1.5 trillion dollars. Perfect credit is not required to refinance student loans. You could get a new student loan rate as low as 2.91% APR. With steep rates on your federal and private student loans, or Parent PLUS loans, it’s easy to save money by refinancing to a PenFed loan. Pay off student loans fast by refinancing. 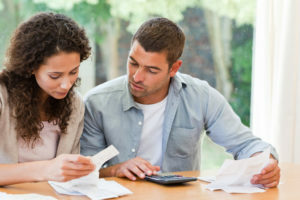 Save money on debt that may be in collections. When you have overdue debt with a creditor, whether it’s an unpaid credit card balance, medical bills, or anything else, you may be in the position to settle the debt for pennies on the dollar. Always make your requests in writing to keep track of negotiations. Collection agencies stand to make huge margins on purchased debt, so don’t be afraid to offer less than 25% of what you owe. Even if you offer to pay 25%, they’ll make a profit. The older the debt, the less you should offer for settlement. Extra cash is the quickest way to get out of debt. Temporarily join the gig economy to get out of debt sooner. Here are several at-home gigs and out-the-home gigs you can temporarily do to make extra cash. Inbox Dollars – Get paid for reading emails. 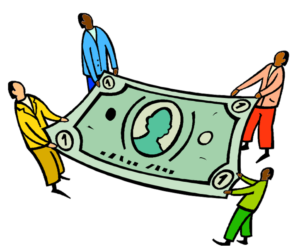 Opinion Outpost – Get paid for answering surveys. Survey Junkie – Share your opinion to help brands deliver better products & services. Minds Pay – Get paid to review products. Swagbucks – Sign-up and get a free $10 bonus right out of the gate. Earn points or Swagbuks by taking surveys, watching videos or searching the site. Ebates – Earn cash back on your purchases. Get a $10 bonus for joining. Rent your truck – If you have a pickup truck, cargo van, or box truck market yourself as a mover, delivery driver or helper. Dolly on demand has $30 an hour moving jobs (helper jobs) for people that can lift least 75 lbs. If you don’t have a truck they have jobs (hand jobs) for $15 but you must be able to lift 75 lbs. Rent yourself as a friend – Earn money to be someone’s platonic friend. Attend a movie or concert with someone that is willing to pay for a temporary hang-out friend. Rent a room – Earn extra money with your home and rent a room. Drive for Lyft – Earn a $300 Bonus After 100 Rides When You Become a Lyft Driver. Terms Apply! Drive for Uber – As an incentive for signing up Uber guarantees a certain amount of money (depending on the city) for your first 200 trips. For example, if you are driving in Atlanta you could earn at least $2,200 for your first 200 trips. Doordash – Earn money on the side to deliver food from local restaurants. Instacart – Become a shopper and make up to $1,000 when you complete 30 batches in 30 days. With Instacart you can choose between an in-store shopper (no vehicle needed) or a full-service shopper. Postmates – Take home 100% of what you earn every time you complete a delivery. Earn instant cash or opt for weekly deposits. Get free weekly deposits or cash out instantly anytime you want. Not surprisingly, many Americans don’t balance their check books. What check book you say? See what I mean. 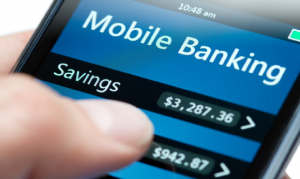 Online and mobile banking is so convenient but it does not necessarily mean you are more informed about your accounts. Good old fashion basic math skills can save you a lot of money. Bank overdraft fees are about $35 these days. Don’t give the bank an unnecessary bonus. 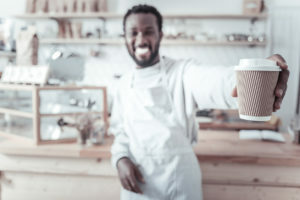 Balancing your check book whenever you transact business using your checking account (writing checks, ATM withdrawals, bank service fees), will save you money. You never know when you’ll need money outside of your budget. Auto repairs, emergency travel, plumbing problems, a new furnace. You name it. The money you save by having a budget and sticking to it should go into a savings account. Having a high-yield savings account not only gives you peace of mind but also keeps you from incurring additional debt when an emergency occurs. Just as you have a budget, building a safety net where you pay yourself first can keep you out of debt. Start with at least 10% of your income and you may even want to include it in your fixed expenses budget as a line item. A good rule to follow is to have at least 3 to 6 months of living expenses saved for emergencies and even temporary unemployment. The amazing thing about saving money is that the more you save, the more you want to save. 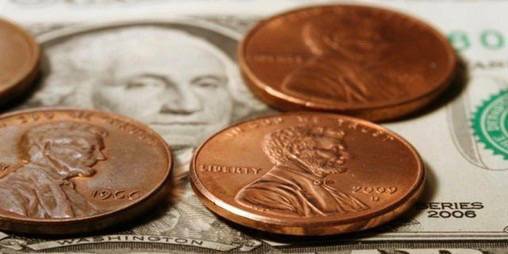 You become accustomed to seeing that money in your savings account increase each month. Banks aren’t paying much interest for savings accounts. In fact, the national savings rate is around 0.08 percent. But online banks like CIT Bank offer higher rates. CIT Bank is FDIC-insured and offers a savings builder account that pays 2.25 percent compound interest. You can open the savings builder account with as little as $100. When you become debt free you take a major step to improve your quality of life.